Is your house becoming on the cramped side? Family growing, additional rooms needed? Or are you planning on buying a new home but it needs to be renovated, extended and/or improved? You have two options to solve this problem, move to a larger house or consider extending your home to accommodate your needs. With the advent of new planning laws you may not even need planning permission. From a simple porch to large complicated (challenging) extensions and/or loft conversion. JLM is happy to advise and guide you through the possible solutions and produce designs that will add a wow factor to your home, just call Jon on the number above. Life long dream to design & build your own new house? Fed up with houses just not hitting the mark when it comes to layout, function and aesthetic design? We at JLM will listen very carefully to your wish list, transfer those thoughts and ideas into a bespoke design to produce a home to be proud of. We will assist and guide you through the complex web of home building and offer FREE advice and guidance throughout to ensure you achieve a beautiful home. Call Jon on the above number to get the ball rolling. In need of building plans? Your factory or office needs re-planning or even extending? JLM Architecture not only works extensively in the domestic market, we also undertake small commercial and industrial projects including school extensions, offering an inclusive design package to resolve the issues. In addition we work with companies as their drawing office providing designs under their banner. Next step call Jon to chat through your proposals for FREE advice on the above number. 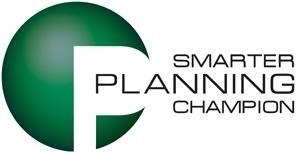 We have been awarded Smarter Planning Champion status by the Planning Portal. This confirms our commitment to follow best-practice guidelines for the submission of planning applications, saving time, money and carbon for our clients and helping local authorities to process our applications as quickly and efficiently as possible.